Andrew Baker gets carried away on the musical wings of a pair of wee-wee speakers that surprised the hell out of him. SPEAKERS COME IN many sizes, shapes and materials these days and while big speakers with huge drivers are still highly desirable, those music lovers who want (or need) small speakers often still crave a big sound. With today’s advances in technology and construction, this is usually entirely possible. I could tell from the size of the single box the S1s came in that they were going to be wee, but not until I’d removed all the packaging did I see just how wee. [Wee-wee? – Silly Ed]. Canada’s Paradigm have been making speakers for over thirty years now and my impressions of their products – for as long as I’ve known of them – have almost invariably been of large speakers with somewhat busy (i.e. loads of drivers) front baffles, so the more subtle looking S1 V3s were something of a surprise. 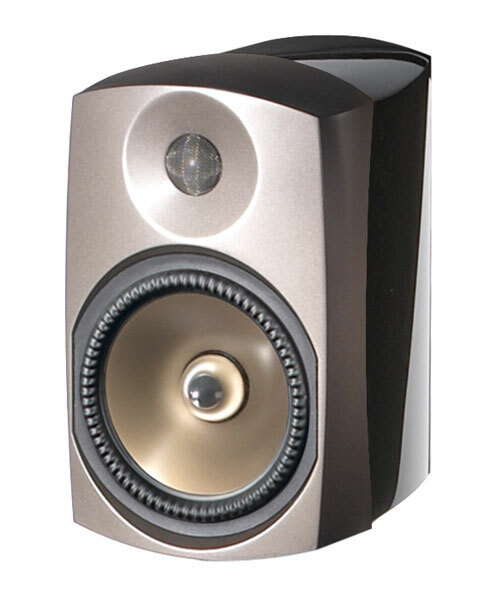 Paradigm offer a good range of floor standing and standmount speakers to suit most budgets and the luxurious Signature range is the current flagship, with the S1 V3s being the entry point. Now into their third revision, the S1s are fabulous looking speakers which feel encouragingly solid and are unexpectedly heavy (5.8kg), considering their size of 27cm × 17cm × 22cm (h x w x d). Paradigm has managed to fit a 6-inch mid/bass driver in the front, along with a 1-inch tweeter – the cabinets are an enclosed design so there are no bass ports – and they have used die-cast aluminium to construct all parts of the compact cabinets. Extensive internal bracing and the use of a technique known as ‘Constrained Layer Damping’, borrowed from aviation and naval industries, along with sophisticated insulation material ensures the elimination of unwanted vibrations and interference. The tweeters are constructed from pure Beryllium which Paradigm say is lighter and more rigid than aluminium and diamond, with excellent performance properties, while the main driver cones are made from cobalt-infused anodised aluminium. Both drivers feature super-neodymium ring magnets and die-cast heat sink chassis. Phew, but this is science, folks. Another clever feature is the use of ‘Aperiodic Resonance Breakup Fins’ which can be found in the rear damping chambers of the tweeters and are used to capture, disperse and effectively cull any internal resonances. Two sets of binding posts provide the option for bi-wiring, and due to the way they angle outwards you may need to be careful with the type of speaker cable you use. 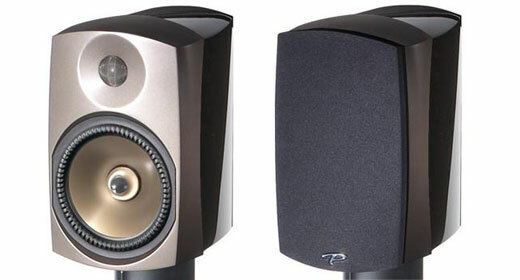 These two-way ultra-compact standmounts use a 3rd-order crossover and have a frequency response of 65 Hz – 45 kHz (+/- 2dB), and Paradigm give the speakers a 30 degree off-axis response of 65 Hz – 20 kHz (+/- 2dB). Sensitivity is rated at 90dB with an easy 8 ohms impedance and Paradigm recommend amplification of between 15 and 175 watts per channel, so whether you’ve got a low-ish powered valve amp or a meatier solid state (or vice versa), you shouldn’t have much to worry about. Two fetching wood grain veneer finishes are available: cherry (the review pair looked particularly stunning in this) and piano black. Suitable good quality stands are an absolute must. The S1s are bound to find favour with other family members, not only for their compact size but also for their looks. From the attractive front baffle and veneer, to the copper coloured main drivers with their black rubber “pie-crust” surround, they’re a veritable work of art – which is all well and good, but, as we all know, they have to sound good too. Along with my own Unico valve hybrid integrated amplifier, being fed by my Well Tempered/Analog Instruments/Benz/A23/Trichord vinyl playing set up and Squeezebox Classic/DAC digital rig, I was lucky enough to also have Perreaux’s superb DP32 Preamplifier/DAC and their matching 100P power amp in the house to play with. One of the joys of reviewing hi-fi equipment is being able to rediscover gems in my music collection, and in this case the S1 V3s were no exception. Perhaps they didn’t always offer any particularly new insights into the recordings, but as I found out over and again, they did such a great job of reminding me why I own all these albums. After a bit of running in I proceeded to run through my music selections, and what fun I had. The S1 V3s presented an almost casual flow of music, in that they appeared mostly untroubled by whatever style of music I supplied them with – and even at higher volumes where I expected to hear any size-related issues to become apparent, they were, for the most part, quite happy. Bear in mind my room, at roughly 5m x 5m, would be considered small-medium. Playing ‘Hallogallo’ from German band Neu! off their 1971 self-titled first record, I noticed a solid urgency to the drumming with crisp and un-splashy cymbal taps and shimmers. The S1s set down an infectious rhythm, letting the music flow and do its thing unhindered. The sound was full-bodied with beautifully delivered high notes at the top of the spectrum and a surprisingly worthy bass response at the bottom. For those rumbling lower frequencies you’ll want to add a subwoofer but for me the bass was just nice. Also remarkable was the sense of scale – that is, images seemed life-sized – the S1s imparted. It really was up there with some of the best floorstanders and larger standmounts I’ve had in my system, and better by far than the Spendor A3s I reviewed earlier this year. Moving on to ‘Gethsemane’ from Om’s excellent 2012 album Advaitic Songs, I again found bass to be surprisingly powerful and authoritative, relative to the speakers’ size. The thunderous combination of bass and pounding drums was handled extraordinarily well; exceptional and quite unexpected – no rumbling floorboards but still a good burst of bass from such tiny units. The S1s remained fairly well-balanced but with perhaps a very slight clouding of the treble with the lowest notes dominating ever so slightly; this is quite a difficult track and I must admit I was a little afraid to turn the volume up too far; though at “shouting above the music” level I was still pretty impressed. Trying another bass-heavy track, Shackleton/Skull Disco’s downbeat electronica ‘Death Is Not Final’ 12-inch single, I noticed none of the veiling or bottom end dominance I heard with the Om track and the midrange and treble remained lavishly clear and detailed, along with nicely controlled and defined bass. There was a great sense of hearing deep into the recording – despite this being a laptop and samples job – and the depth of detail was impressive. The strength of the S1 V3s, I believe, is their lovely natural and open midrange and the fast, extended treble – but I keep going on about bass because I fear some people might overlook them on the grounds that they suspect such little speakers couldn’t possibly reproduce those all-important lower notes. If you want to feel the bass and get the benefits of full low end extension then add a sub, but rest assured, even without one you’ll hear bass lines, rich and responsive – and believe me, I’ve heard much bigger speakers that, frustratingly, have the dubious ability of making bass lines seem to disappear. The S1s very occasionally struggled slightly at higher volumes with some of my more full-on albums, but at your more usual levels they were superb and with the majority of my music they didn’t mind being cranked up a bit. ng; that voyeuristic feeling of being part of the actual recording. I streamed Bernie Griffin And The Grifters’ self-titled 5-track EP (sadly not released on vinyl – hint, hint) from my laptop and was again charmed with the results. Arguably one of Auckland’s hardest working bunch of musicians, Griffin and his highly talented Grifters have produced a wonderful recording which the Paradigms faithfully reproduced with ease. This is country rock (some would probably prefer to call it Americana) but unapologetically New Zealand in flavour and not, in my opinion, at all derivative. On ‘Southwest Gale’ you’d swear the Devil himself – AKA Warren Ellis of Dirty Three and Nick Cave fame – was playing the magic-sounding ethereal fiddle (in fact it’s a chap named Dave Khan), and the upright bass and drumming created a thunderous rhythm section. Metal brushes on cymbals, some excellent electric guitar soloing and Bernie’s plaintive smoky and weathered vocals were recreated within a cavernous soundstage that drew me in and made me feel part of the act. I’m ashamed to say that my expectations were somewhat low when I first set eyes on the Paradigm S1s, but within minutes of hearing them in action my tune was well and truly changed. They are a high-end sounding speaker but with no pretensions: just fun, rhythmic and full of energy. They have the fun and zing of cheap and cheerful speakers combined with the resolution and confidence of speakers which are much more expensive – not to mention much bigger. Despite their small size they give a great sense of scale, throwing the sound out far and wide. The midrange is lovely and the Beryllium tweeters give a clear and open treble, but without overwhelming the listener with detail. As mentioned, bass – particularly in my smallish room – is quite incredible and for those without the room or desire for anything bigger it should prove adequate.